Pazo de Señorans, Rías Baixas. Every month Decanter magazine chooses an unusual and exciting terroir to feature in the 'Joy of Terroir' feature. Here is the 2015 selection. Take the Joy of Terroir 2015 quiz and try guess the terroir. See below for some of the best vineyard photos published by Decanter magazine in the past year – all from Joy of Terroir 2015. Owning vineyards within the city limits of Chile’s capital city Santiago brings unique challenges. On the upside, workers can take the Metro to Viña Aquitania’s 15ha vineyard in the Peñalonen district. On the downside, you have the neighbours to consider – they love the views, but complain about the dust, tractor noise and tree height. Falling within the Central Valley’s Alto Maipo region, this vineyard was planted in 1990 at an altitude of 750m. 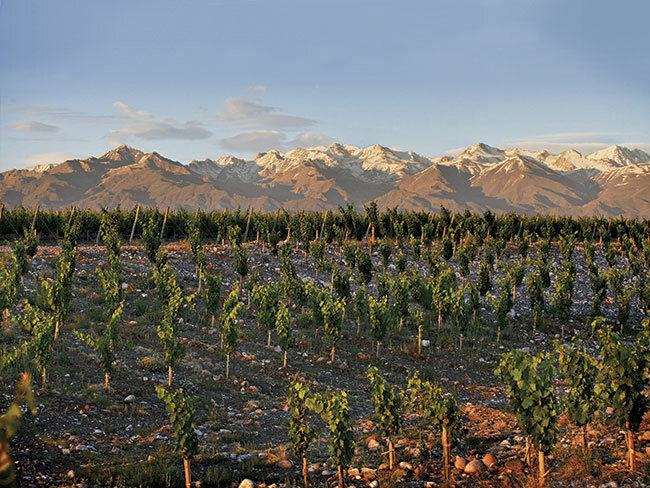 The Andes, which loom in the background here, have a big influence on the terroir: cold air streams down at night, bringing freshness, elegance and distinctive mint aromas to the red wines. The Cabernet Sauvignon and Syrah vines are ungrafted in the absence of phylloxera and planted on poor, rocky soils. 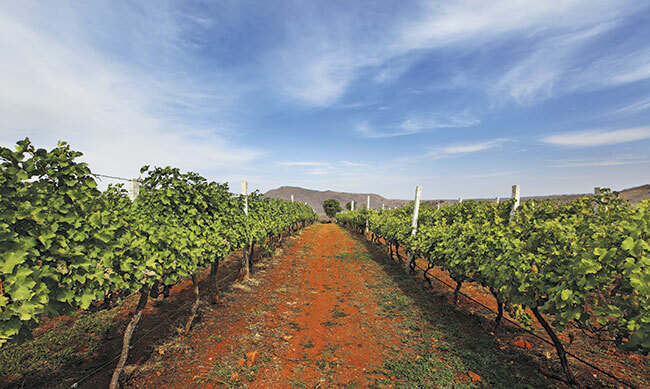 Despite the favourable conditions, urban sprawl means only three wineries remain in Peñalonen today, with 150ha planted. This undulating hillside vineyard, overlooking the Gulf of Propriano and fanned by sea breezes, belongs to Sant Armettu, established 50 years ago by the grandfather of current owner Gilles Seroin. 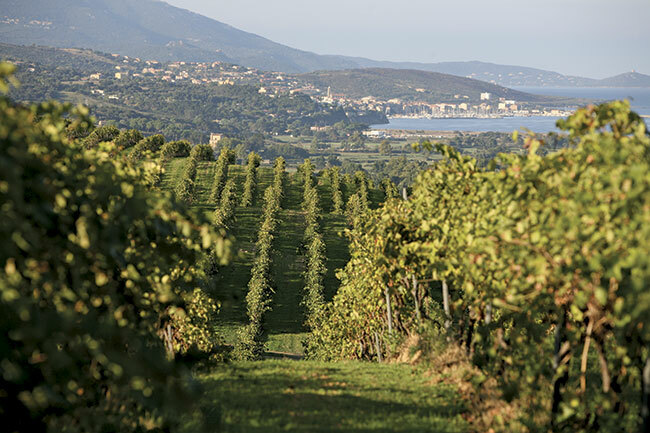 That Corsica can make wines of interest is a message that has only recently spread beyond its shores – in the case of this 35ha domaine, a Vermentino white; rosé from Sciacarello and Grenache; and reds from Sciacarello, Nielluccio, Syrah and Grenache. Sant Armettu’s vines, which have an average age of 23 years, are planted in granitic sand, on terraces along the slopes, without the use of weedkillers or chemical fertilisers. Though Corsica is part of France, many of its winemaking traditions and grape varieties are Italian in origin. 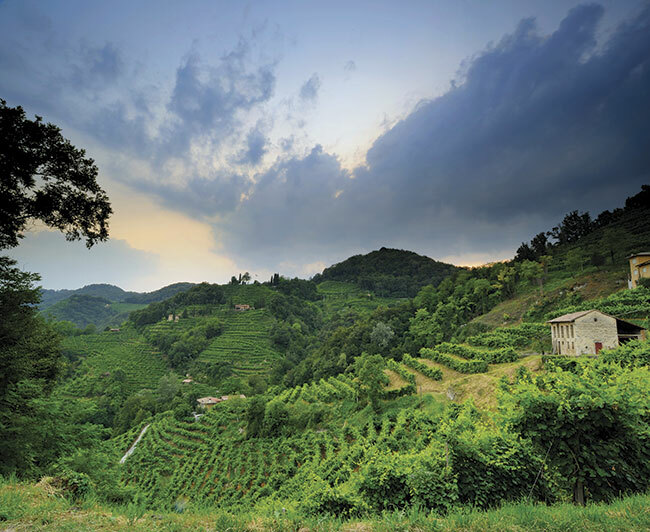 Nielluccio, for instance, has close genetic similarities to Tuscany’s Sangiovese grape. Framing the majestic view of the active volcano Tupungatito is the Masi Vigneti La Arboleda estate in Argentina. 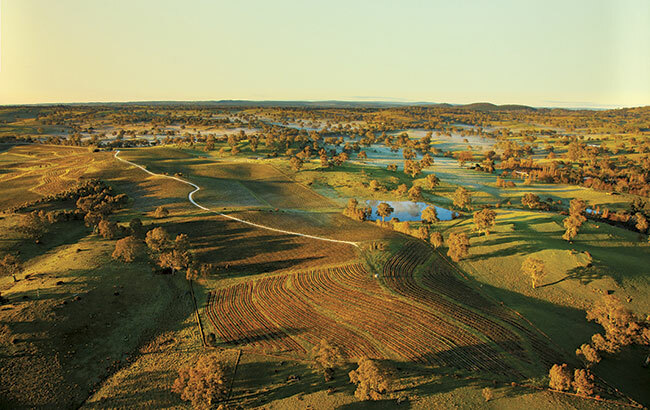 The Boscaini family acquired this 140ha domaine 20 years ago. It found the perfect pedoclimate of sand, stone, chalk and loose silt for its imported Venetian vines to flourish. The chañar trees, native to a few South American countries, bear deep orange fruit – an indication that spring has arrived in the valley. The delicate shift between seasons is crucial in the Italian process of appassimento – drying grapes at the time of hand picking – and a staple of Masi’s expertise. The climate also dictates some year-round measures: the vines are netted to guard against hailstorms that arrive over the Andes. The region in fact has scarce rainfall of 250mm-300mm per year, so depends on a wealth of underground water, augmented by a small reservoir that modifies the microclimate into one perfectly suited to imported Corvina and Pinot Grigio vines and the native Argentinean Malbec and Torrontés. 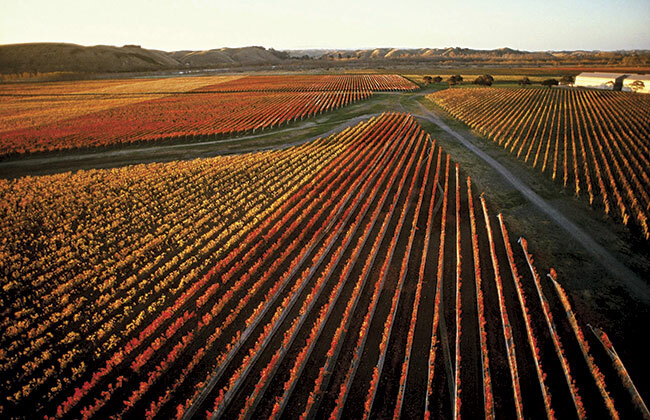 The autumnal patchwork of red and yellow show the different speeds at which Merlot, Malbec and Syrah grapes ripen in Craggy Range’s patch (104ha or 15%) of the Gimblett Gravels vineyard in Hawke’s Bay. It’s the warmest site in New Zealand, though it is the uniquely stony soil which reveals both its history and success. When floods in the 19th century opened rivers into land, the Ngaruroro River left in its wake a valley of gravel – thought by the Gimblett family as only fit to quarry until local winemakers identified it as a unique terroir. Today, rocks that are carefully placed under vines store the day’s heat to provide overnight warmth for the developing grapes. The consistent temperatures and lack of very hot days here means floral notes are retained in the wines – instrumental in Craggy Range’s Le Sol Syrah, with its recognisable notes of violet. The majestic peaks of the Andes dominate this view from the Finca Alluvia vineyard in Argentina’s Uco Valley. It is the soil in the foreground however – sandy, calcium-heavy and rich with alluvial stones – which is the unsung hero of the Malbec that Doña Paula produces from these vines. Its lack of organic matter forces the vines to mature independently, creating in the resulting wine firm tannins, strong mineral notes and the potential for longevity. At 1,350m (almost the highest point of the Uco Valley) the grapes here ripen at very low temperatures, creating structures designed to age. Doña Paula began research into terroirs in 1990, ahead of the mid-’90s boom in Argentinian wines. Finca Alluvia and its sister farm, Finca Los Indios were acquired a decade ago to provide wider diversity of terroir. 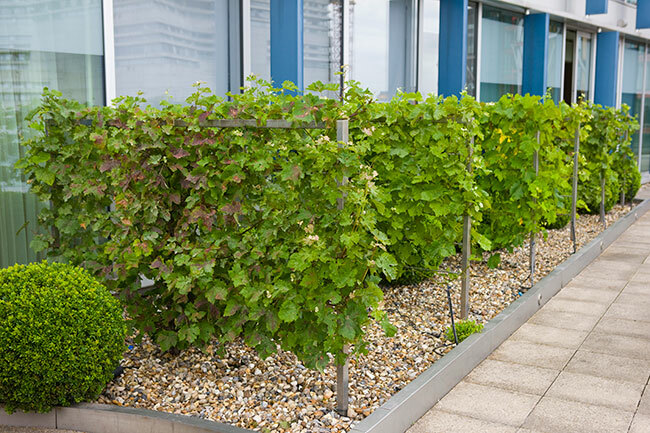 The Decanter vineyard is on the north-facing, 10th floor terrace of the Blue Fin Building on Southwark Street, overlooking Tate Modern, the Thames and St Paul’s Cathedral. It was planted in 2007 with vines donated by Decanter Men of the Year. They include Cabernet Sauvignon from Bordeaux’s Château Lynch-Bages (Jean-Michel Cazes, 2003), Palomino from Domecq in Jerez (José Ignacio Domecq, 1991), Pinot Noir from Champagne Roederer (Jean-Claude Rouzaud, 2001), Syrah from Guigal in the Rhône (Marcel Guigal, 2006), Furmint from Hungary’s Royal Tokaji (Hugh Johnson OBE, 1995), Sangiovese from Antinori in Tuscany (Marchese Piero Antinori, 1986) and two indigenous Spanish vines from Torres (Miguel Torres, 2002). It is officially the smallest vineyard in Britain at 0.001ha, recorded in Stephen Skelton MW’s UK Vineyard Guide. 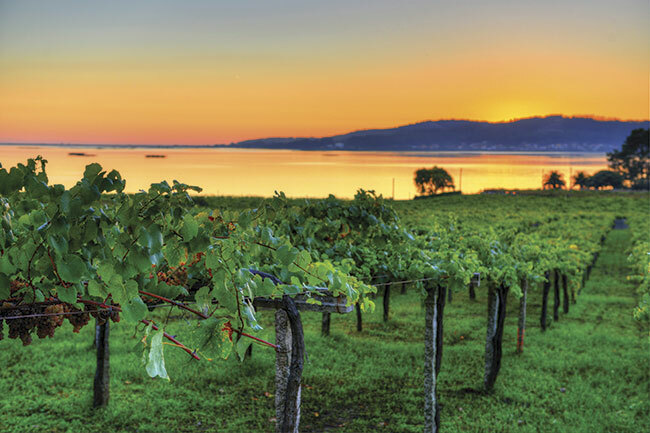 Despite its north-facing, windswept, maritime terroir, the vines regularly produce grapes, which have been known to ripen in warmer years. No wine has yet been made. Situated on a sloping hillside in the Nandi Hills, this 18-hectare vineyard contains some of the oldest vines in India, harvested first in 1992. Owner Grover Zampa Vineyards was the first to plant French grape varieties in India, after exploring the country to find the perfect site. In a nine-year study, where 33 grape varieties were planted in locations across India, Nandi Hills stood out for its mild and cool climate and light soils. Red and loamy with plenty of basalt and quartz gravels, these were strikingly different from the usual Indian dark-soil vineyards. The vineyard is planted to Viognier, Sauvignon Blanc, Syrah and Cabernet Sauvignon, and was the source of the wine that won India its first International Trophy, at the 2014 Decanter Asia Wine Awards – the Grover Zampa Art Collection Sauvignon Blanc 2014.